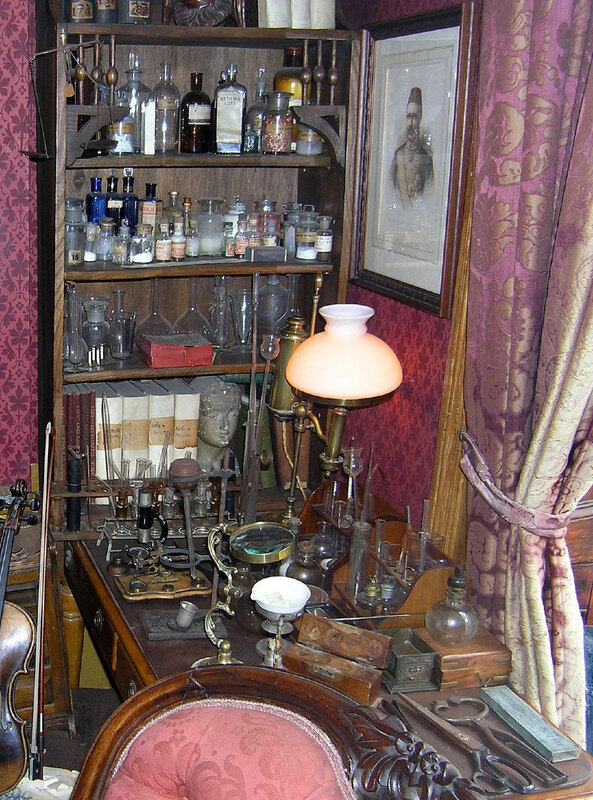 The museum is tourist attraction created at a not-quite-right address on Baker Street and has been outfitted with furniture and objects matching descriptions in Sir Arthur Conan Doyle’s Sherlock Holmes stories. The corner of this room contains the chemicals and equipment needed for forensic analysis of items from a crime scene. 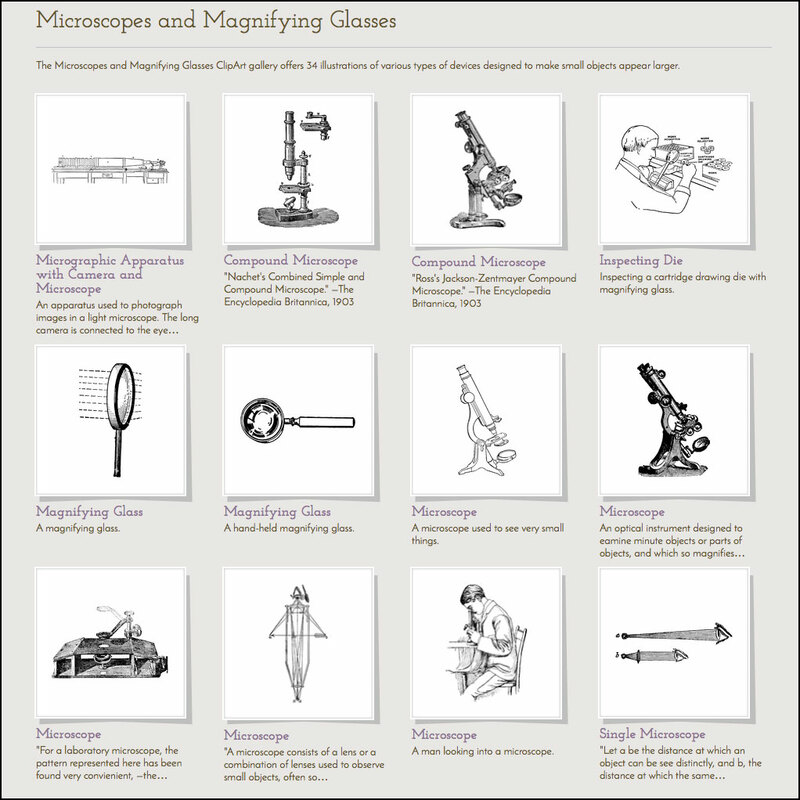 Can you match up the items in the museum with their illustrations from the Chemistry and Microscopes galleries on the Clipart ETC website? It may help to scroll down to the second, enlarged photo. Photo by Gail Frederick taken August 12, 2004. 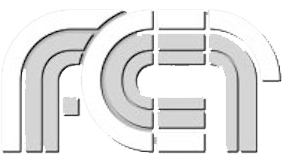 Reproduced under the Creative Commons Attribution 2.0 Generic license. Minor photo enhancement by FCIT. 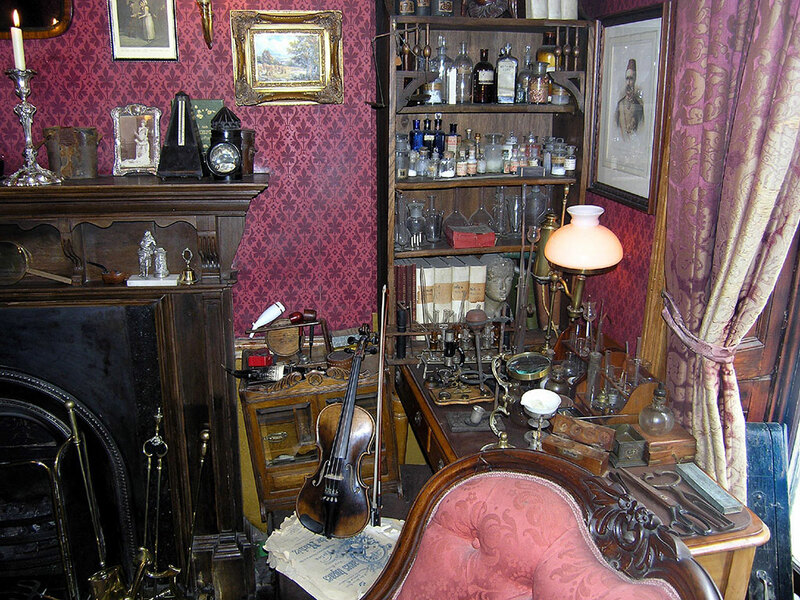 Bottom photo is a cropped version of original photo by Frederick (reference number P8110099-The Sherlock Holmes Museum, “Another view of the study”). Return to May 4: Holmes vs Moriarty page.